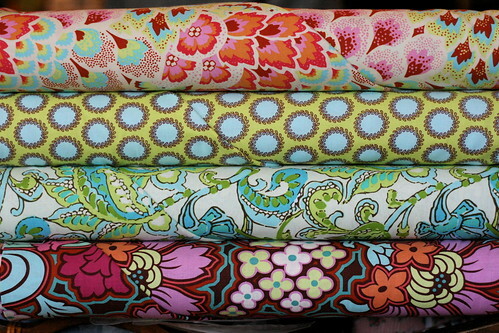 New fabric and notions are coming in almost every day around here. The first few bolt of Amy Butler's Soul Blossoms arrived yesterday, along with several prints from French General's brand new line Le Petit Ecole. I have my eye on some fat packs of Kona Kaufman taking up valuable real estate in the front window. I would happily give or receive one of these as a gift. 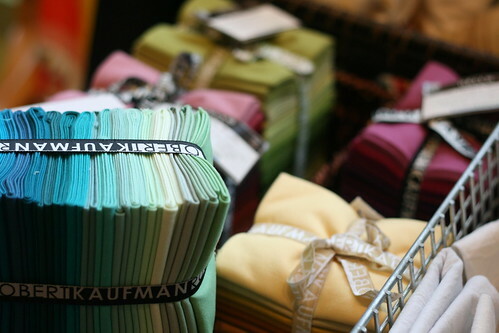 Don't be shy if you come by the store confused at what to gift your fabric loving friend or family member! Our staff is happy to point you in the right direction!